The beginnings of books are hard. Modern writers can’t often get away with pages of description, of guiding us into the setting and mood of the character. This is the favorite of my beginnings, featuring the hero of Redeemed, book two in my Evolution Series, who was the villain in book one and not a likable guy. I jump right into his head to show that, while he’s been working to change, he’s still prickly. Can a person really alter himself enough to go from being the bad guy to being the good guy? Some can. I mean, Doeg isn’t a sociopath or anything, he’s a man who has to stop feeling like a victim and admit he might deserve a little happiness in his life, if he’s willing to open up for it. We all know a real-life person like that. Maybe we each remember a fictional bad guy (or girl) we’d like to see smiling in a happy ending. Doeg was mine, so I wrote it for him. Doeg’s requirements in a prospective wife seemed simple enough when he started the search. He had learned in the last three years to examine his goals and break them into finite steps of surmountable size. He’d done just that, determining his essential needs in a spouse and discarding all other considerations. For example, he would not demand wealth, having turned over a new leaf to be an independent man. Intelligence was not needed and in fact, could be much over-rated where a woman was concerned. He also did not care if she was graceful, well spoken, or religious. And physical attractiveness had no bearing on it whatsoever. She could be tall, gaunt, and toothless since he had no intention of looking at her very often. He would not insist on a particular age as long as she would outlive him because he could not imagine ever going through this again. No, he never wanted to waste another ten months of his life in the apparently futile search for the one woman in Bavaria who could meet his two requirements, which at the beginning of the hunt last March had seemed so elementary he had expected to be married by April. Can a quiet widow help a damaged, secretive man find redemption? Doeg has only two requirements in a wife and upon meeting Philantha he knows she is the one who will fulfill them. However, she has a requirement of her own that tests and eventually breaks the barriers Doeg has maintained around himself for decades. They struggle during the day to revitalize his estate while the night-time awakening of their passion leads to binding love and redemption beyond their wildest imaginings. When an unexpected threat to Philantha emerges, Doeg rises to the challenge, throwing off the shackles of his past once and for all. Travel to Bavaria in 834 where Redeemed combines the best elements of historical romance with an exciting new setting. Book Two in the Evolution Series. You can learn more about this series and me here. 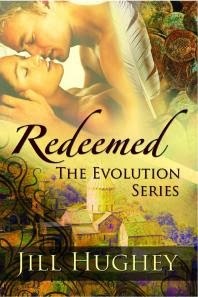 All the stories stand on their own, so if Redeemed has intrigued you, grab a copy! 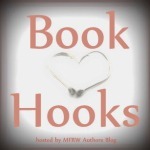 Thanks for checking out the Book Hooks hop. Make sure to use the “Click here” link below to find other participants! 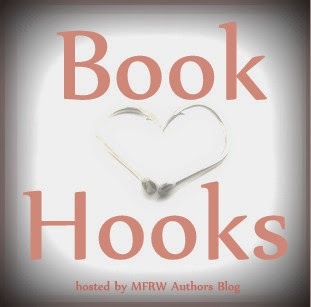 Click here to see the list of other Book Hooks hoppers. bad guy turned villain. yes, yes, yes. Hope to see more of his thoughts and heroine because this snippet has just the right amount of arrogance and humor that I like in a hero. thanks for sharing an awesome snippet. Thank you, Michelle. Bringing Doeg a happy ending was really rewarding. The only person he ever really softens up toward is his heroine and that’s a big leap for him. What an interesting hook, his ‘needs’ are indeed interesting … toothless ? He thinks he doesn’t care what she looks like, but he’s gonna learn!